Legendary performance artist and electronic music pioneer Laurie Anderson combines elements of both in her experimental documentary Heart of a Dog. 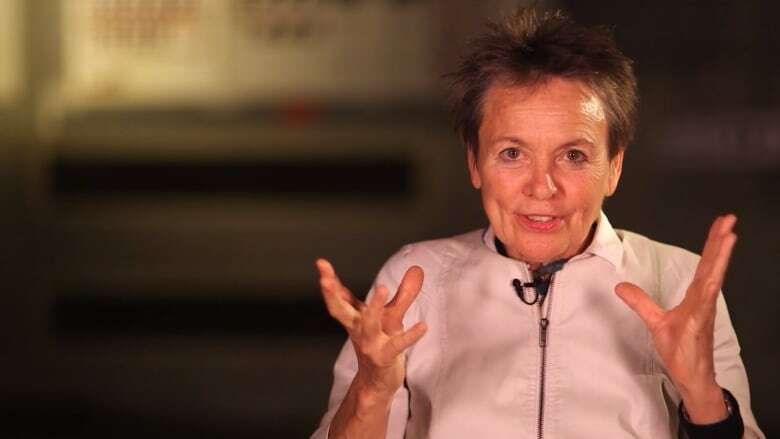 Legendary performance artist and electronic music pioneer Laurie Anderson combines elements of both in her latest work, an experimental documentary called Heart of a Dog, currently playing theatres in cities across Canada. Part elegy to her late, beloved rat terrier Lolabelle, and part meditation on life, love, death and the world post 9-11, the film is also dedicated to her late husband, musician Lou Reed. In it, she describes her struggle to come to terms with loss, evoking the advice of her Tibetan Buddhist teacher, Jewish grandmothers and Danish philosopher Søren Kierkegaard, whom she quotes: "Life can only be understood backwards, but it can only be lived forwards." Alternately sad, absurdly funny and hypnotically beautiful, the film taps deeply into the subconscious of the viewer — what she calls the "silent witness" of the mind. Watch Laurie explain this notion, and her film, in the above segment from this week's episode of Exhibitionists.